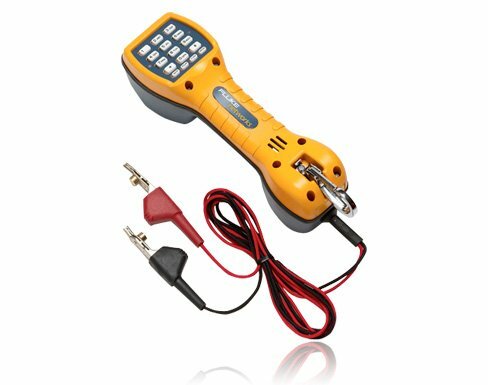 The TS30 features the latest in telephone test set case design, at an affordable price. Recognized as the industry standard for basic test sets, the TS30 Test Set provides superior quality at an affordable price. With its high impedance Monitor for DataSafe™ operation, technicians can clip onto a line in Monitor mode without disrupting existing traffic. Fluke Networks’ unsurpassed RainSafe™ protection standards and DropSafe™ durability assure the test set will keep working even in the toughest environments. Solid weatherproofing provides enhanced resistance to severe weather conditions. Protection Against Alternating Current Overvoltage The TS30 survives up to 250 Vrms across its test leads. Notes: Specifications subject to change without notice. Legal requirements may exist regarding permission to connect equipment to a Telecom network opterated by a public network operator.